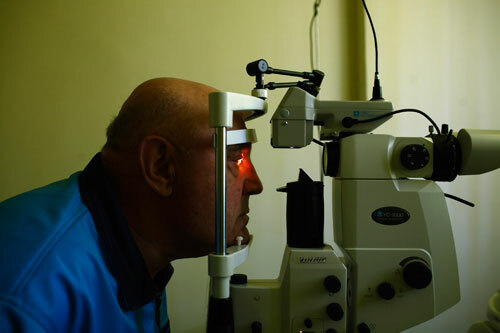 A patient suffering from a cataract has his eyes examined at the Republic Hospital in Tiraspol, Moldova on 15 April 2009. Hospitals across the country have been slow to reform their aging Soviet era practices. High incidence of HIV and TB can be found across the region.